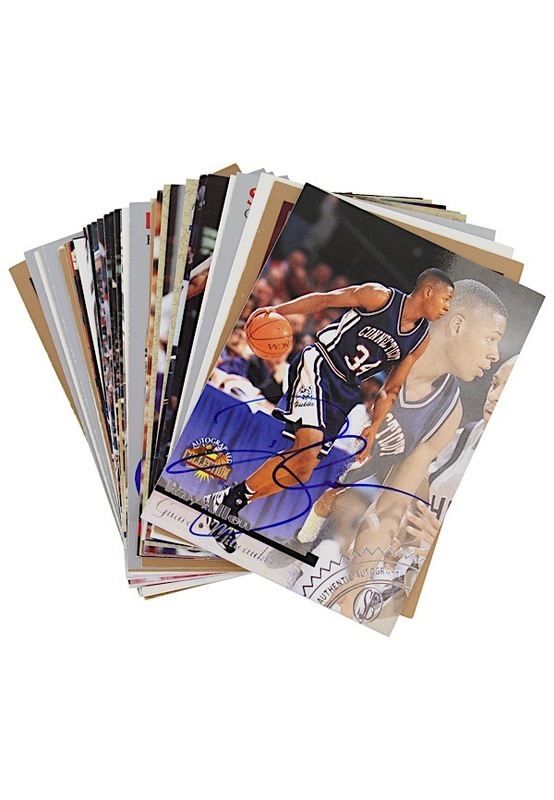 A group of 1980s, 90s and early 2000s autographed basketball cards. The signatures are done by the appropriate players and are highlighted by Ray Allen, Larry Nance, Tom Chambers, Spud Webb and many others. Accompanied by a LOA from JSA.